How did the earliest land animals move? 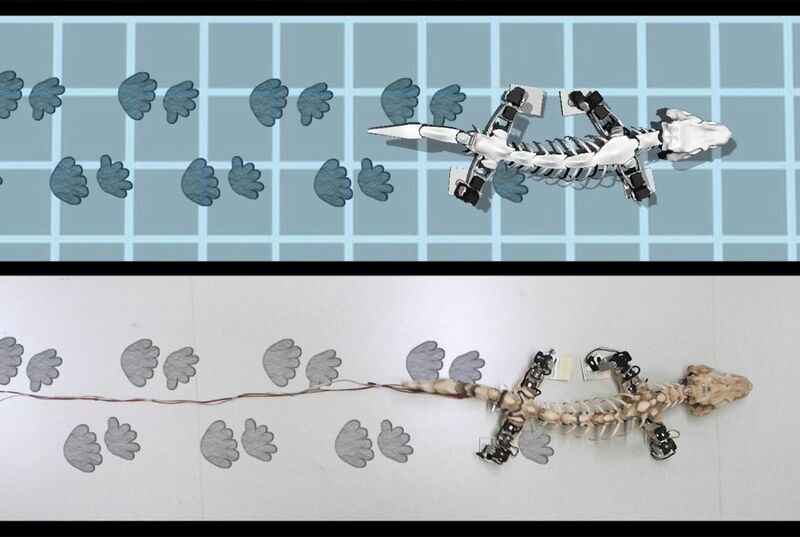 To find out, scientists created a moving robot model of prehistoric life. They used a nearly 300-million-year old fossil skeleton and preserved ancient footprints to create the model. John Nyakatura is an evolutionary biologist at Humboldt University in Berlin. He has spent years studying a 290-million-year-old fossil. It was dug up in central Germany's Bromacker quarry in 2000. The four-legged plant-eater lived before the dinosaurs. It fascinates scientists "because of its position on the tree of life," said Nyakatura. Researchers believe the creature is a "stem amniote." That is an early land-dwelling animal that later evolved into modern mammals, birds and reptiles. The fossil is called Orabates pabsti. It is a "beautifully preserved and articulated skeleton," said Nyakatura. What's more, scientists have previously identified fossilized footprints left by the 3-foot-long creature. Nyakatura teamed up with robotics expert Kamilo Melo at the Swiss Federal Institute of Technology in Lausanne. They developed a model of how the creature moved. Their results were published in the journal Nature. The researchers built a life-size replica of the prehistoric beast. "We carefully modeled each and every bone," said Nyakatura. Then they tested the motion in various ways that would lead its gait to match the ancient tracks, ruling out combinations that were not anatomically possible. They repeated the exercise with a slightly-scaled up robot version, which they called OroBOT. The robot is made of motors connected by 3D-printed plastic and steel parts. The model "helps us to test real-world dynamics, to account for gravity and friction," said Melo. The team also compared their models to living animals, including salamanders and iguanas. 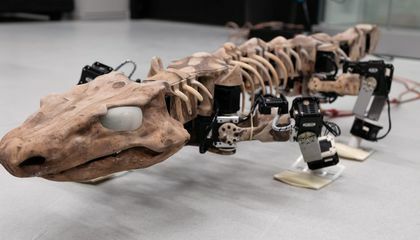 Technology is transforming paleontology. This technology includes robotics, computer modeling and CT scans. It is "giving us ever more compelling reconstructions of the past," said Andrew Farke, curator at the Raymond M. Alf Museum of Paleontology in Claremont, California. He was not involved in the study. "It walked with a fairly upright posture," said Melo. "It didn't drag its belly or tail." University of Maryland paleontologist Thomas R. Holtz was not involved in the study. But, he said the research suggests "an upright stance goes further back than we originally thought." Stuart Sumida, a paleontologist at California State University in San Bernardino was part of the initial team that excavated Orobates fossils. He called it "an exciting study." Sumida, who was not involved in the robot project, said the work provided "a much more confident window in to what happened long ago. It isn't a time machine, but Nyakatura and colleagues have given us a tantalizing peek." What did you find most fascinating about the robot model that the scientists built?